Electronic Key Management Systems | deister electronic UK Ltd.
deister’s electronic key management systems provide you with the power to simply and securely manage, restrict and monitor access and use of your keys and assets. Knowing who, when and where your keys are means you are always in control and the users feel more accountable meaning less lost keys. The implementation of our secure electronic key management system automates the issuing and returning of keys, helping reduce your operational costs and resources. deister’s intelligent key management systems create the highest degree of efficiency and comfort in your everyday operations. Our modular and scalable key management systems offer intelligent control, administration, and documentation of your keys that you can manage from anywhere. 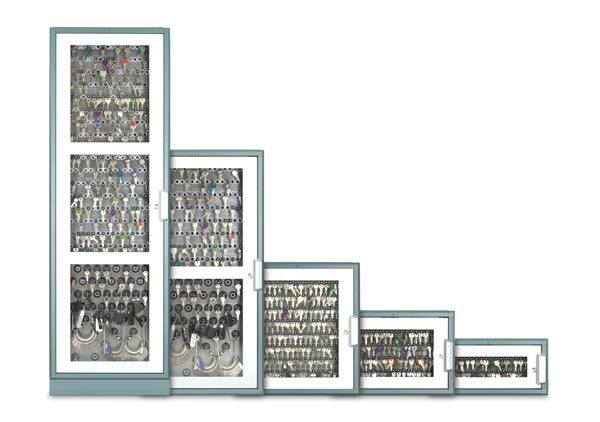 With our range of key cabinets, you can store anywhere from 8 to 1000’s of keys, as well as manage other assets and equipment, either as a standalone system or part of a global corporate solution. Keys are secured within the key cabinet using our robust keyTags. With our secure self-service system, the cabinet door and each keyTag within will only release if a user has been assigned permission. With real-time reports logging all system usage, users can be held liable for the misuse, theft or loss of keys. You can even set up alerts to notify of unreturned or overdue keys. Our key management software is powerful enough to run multiple systems and support a wide range of additional features including fault logging and reservation systems. All deister solutions are backwards compatible. This means if your needs evolve, your system can be expanded upon without the need to replace the original key cabinets. deister’s key management system can be operated using existing access control cards as well as integrated with all deister products and third-party systems. As a central part of securing keys within a cabinet, our highly robust keyTags come with a lifetime guarantee to ensure that your system remains secure and operational. 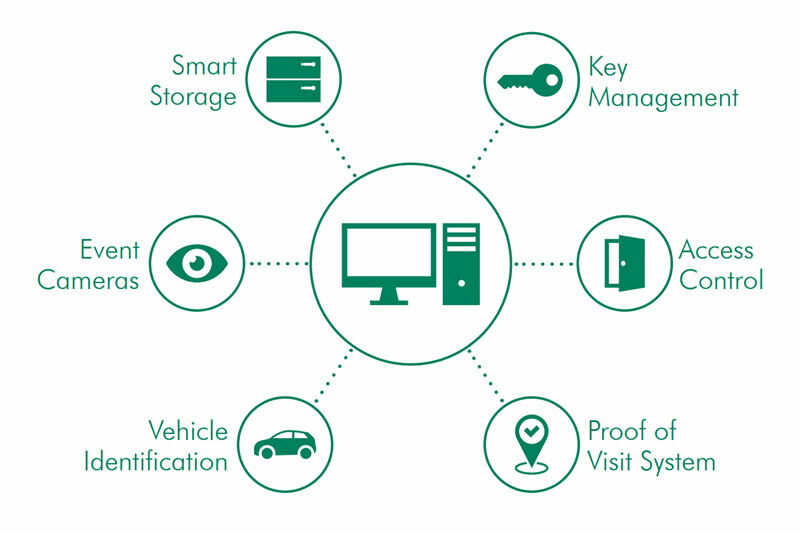 The key cabinet is an integral part of the key management system. Therefore, when choosing a cabinet, it is important to consider what is required of the system. deister offer two series of key cabinets that offer different features. If you are uncertain of what cabinet is right for you, contact us and our team will work together with you to help create the right key management system for you. The flexx key cabinets are a modular solution providing a secure key management system which can be tailored to your current needs while allowing for future expansion. Our flexx key cabinets are available in a range of sizes with the choice of either a solid steel or a window door. The flexx key cabinets can be installed side-by-side where more storage space is required as well as being mixed with our smart storage lockers. With our flexx key cabinets you can store anywhere from 8 to 8000 individual or sets of keys. Whether you have standard office keys, vehicle keys or building master sets, our key cabinets are available in various densities to suit a whole range of key types. The flexx key cabinet series offers you a key management system designed for the present that can grow with you in the future. The maxx key cabinet blends the functionality of a professional key management system with a sleek design for use in prominent locations. The maxx key cabinet allows full control whilst providing quick and easy access to keys to those authorised. The convenient and reliable automatic roller shutter door keeps keys hidden from view and allows the key cabinet to be located in areas where space is restricted such as a corridor, where a conventional hinged door would be a problem. The roller shutter door makes the maxx a secure key storage system, with the door auto-closing when left idle. Available with either 32 or 64 keyTag capacity, maxx key cabinets can be combined with other maxx or flexx key cabinets where additional key storage is required and multiple cabinets can all be managed by the same control terminal. Our easy to use web-based software platform Commander is a central part of our electronic key management system. Manage individual access rights and set up triggers for notifications and alarms. Monitor real-time data on system usage and create customised and scheduled reports. Create a stand-alone system or corporate set-up on either a physical server or virtual environment. Manage multiple deister solutions within one platform from any location. Additionally, if you have existing security or management software, we can integrate with a wide range of third-party systems allowing you to manage your key cabinet and additional systems in one simple platform. 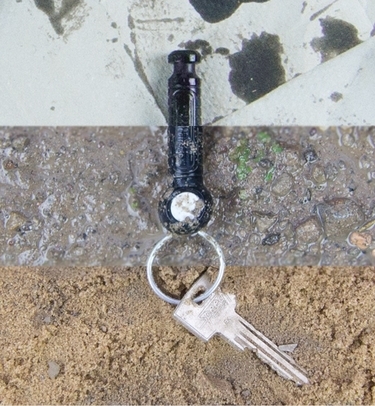 The keyTag is the heart of a key management system. As the most important and critical part of the system it must perform flawlessly in all environments to ensure access to keys when needed. That’s why deister’s key management systems use RFID keyTags as RFID is inherently more reliable than contact identification. This allows our keyTags to provide maximum operational life with minimum cost. Ensure your vehicles and their use are accounted for by securing the keys within an electronic key management system. With the ability to incorporate vehicle mileage and fault logging ensure your fleet complies with insurance, safety and training requirements. Monitor the use of your buildings keys whilst controlling individual access rights to ensure your critical areas are protected from unauthorised access. Increase your users accountability with the key cabinets automatic recording of all cabinet use. Protect your assets that are sizeable or static by securing and controlling the keys for the asset or area it is stored. Monitor the keys usage and have a consistent record of each keys use so you know exactly who has used what equipment and when. © deister electronic UK Ltd.